Did you know we Metro? 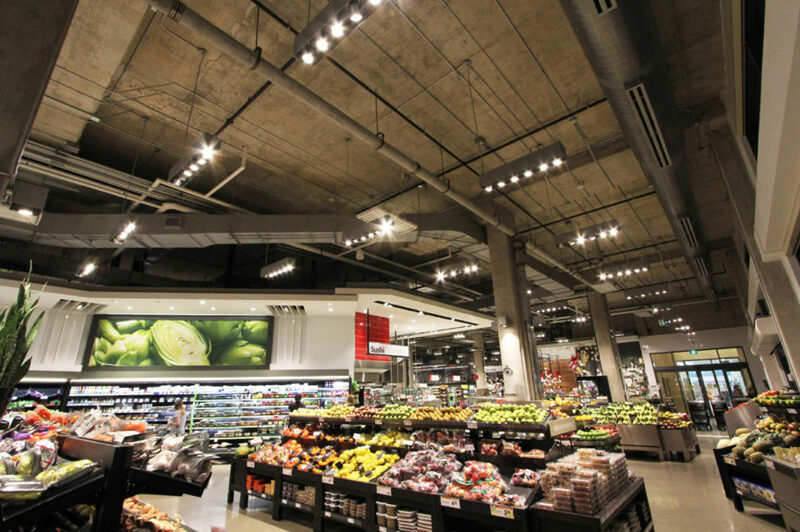 Gabriel Mackinnon has been proud to work with Metro Inc. developing retail lighting design standards and implementing them on over 100 of their grocery stores around Ontario over the past 5 years. As you may guess, this has kept us very busy, so just now are we getting to sharing some information about it! Gabriel Mackinnon developed a family of retail lighting design standards to elevate the atmospheres of our client Metro Inc.‘s several grocery store categories. The GMLD team has collaborated closely with Metro’s internal design team, becoming a valued part of their quick turnaround design process for store renovations all over Ontario. The master design documents have enabled more efficient specifications and a consistent look from property to property, as well as allowing the head office to negotiate aggressive national account pricing with light fixture manufacturers. GMLD has also executed the implementation of the lighting design standards for over one hundred stores, becoming a pivotal member of the design team from design concept to final aim and focus. The firm has been a key defender of lighting standards, ensuring energy efficiency and the best value for the client. We have loaded a few project photos and details to our new Metro Gallery. Please take a look, and let us know if you need help developing lighting design standards to strengthen your brand, or with lighting design for a retail project. The team at Gabriel Mackinnon is ready to leverage our retail lighting experience for you!